Please note that some of these titles contain challenging content, including scenes of imperiled children, murder, and racial violence. Madre – Rodrigo Sorogoyen and Maria del Puy Alvarado, Spain, 19 minutes Fauve – Jeremy Comte and Maria Gracia Turgeon, Canada, 17 minutes Marguerite – Marianne Farley and Marie-Helene Panisset, Canada, 19 minutes Detainment – Vincent Lambe and Darren Mahon, Ireland, 30 minutes Skin – Guy Nattiv and Jaime Ray Newman, USA, 20 minutes For the 14th consecutive year, Shorts HD and Magnolia Pictures present the Oscar-Nominated Short Films, opening on Feb. 8th. 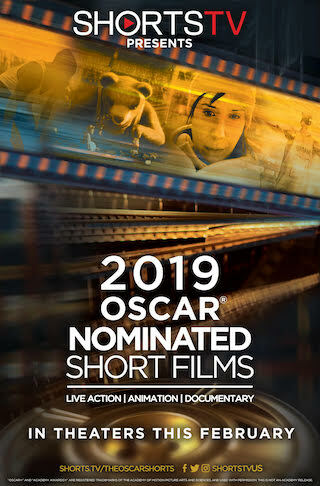 With all three categories offered - Animated, Live Action and Documentary - this is your annual chance to predict the winners (and have the edge in your Oscar pool)! A perennial hit with audiences around the country and the world, don’t miss this year’s selection of shorts.